Joseph Gordon-Levitt (aka “hitRECordJoe“) recently premiered episode one of Hit RECord on TV, his new collaborative variety television show “featuring short films, live performances, music, animation, conversation, and more.” Two new episodes are scheduled to air back-to-back on Pivot Saturday, January 18th, 2014 at 10 PM EST. Episode one is also available to download for free from iTunes. 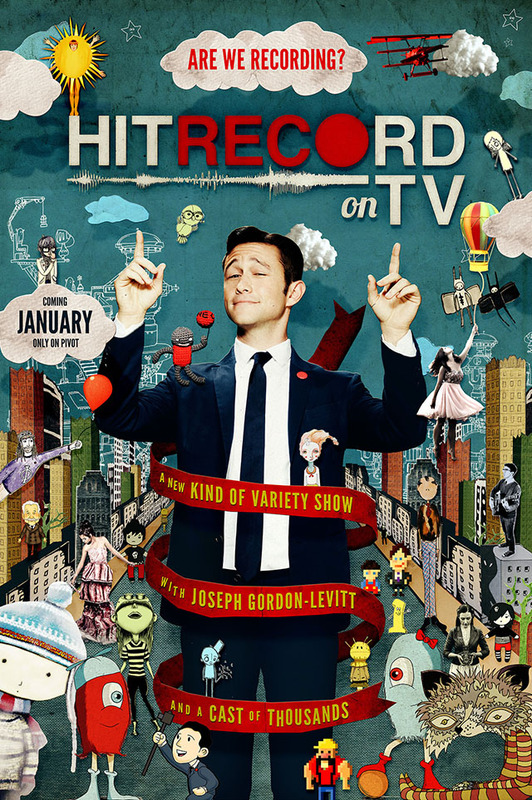 A new take on the variety show starring, created, and directed by Joseph Gordon-Levitt. The show is made collaboratively by a community of hundreds of thousands of artists from all over the world.